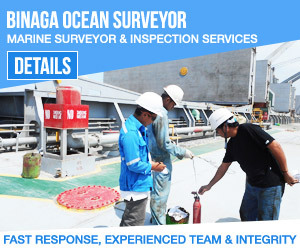 All result provided by Binaga Ocean Surveyor are strictly for the use of the clients and Binaga Ocean Surveyor shall not be responsible for any reliance on or any use or interpretation of such result by third parties. 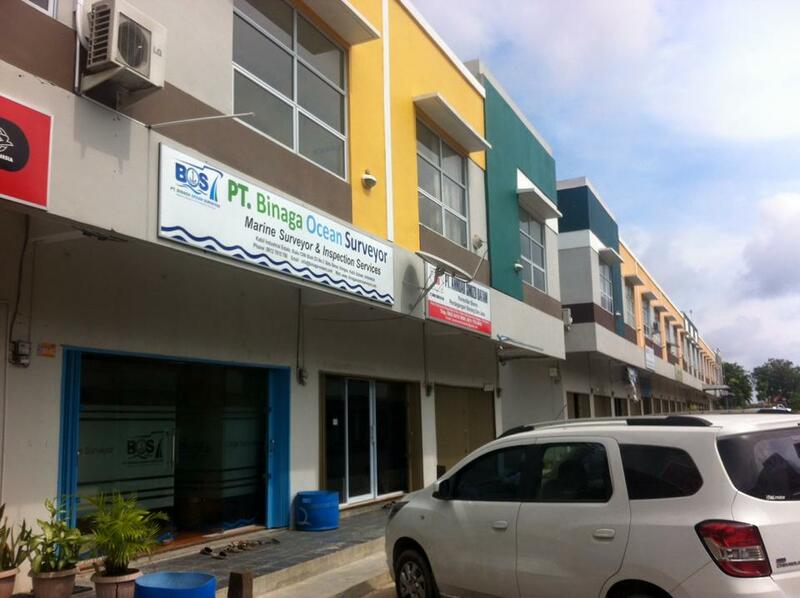 Binaga Ocean Surveyor shall not responsible for any loss, damage or liability arising from any acts by the clients, its agents or other consultants employed by the client. Marine Surveyor & Inspection Services, Bunker Survey, On Hire Survey, Off Hire Survey, Stuffing Survey, Loading Survey, Cargo Damage and Insurance Survey, Hull and Machinery Damage Survey, Discharging Survey, P&I Survey, Towing & Lashing Survey, On/Off Hire Bunker ROB and General Condition Survey, Towing Approval Survey, Free Gas Survey, Seaworthiness Survey, The Vanning Survey, On Hire Condition Survey, On Hire Bunker Survey, Pre-Hire Condition Survey, Sampling and Gauging Survey, Cargo Condition Survey, Seal Breaking Survey, Condition Survey, Container Inspection, Pre-shipment Condition Survey of Project Cargo, Pre-Loading Survey, Loading/Discharging Supervision of Heavy Lifts and Machinery, Bunker Quantity & Quality Survey, Volumetric Measurement Survey, Tank Dryness/Cleanliness Inspection, Stuffing/Un-stuffing of General Cargo and Frozen Foods/Fruits, Damaged Survey.